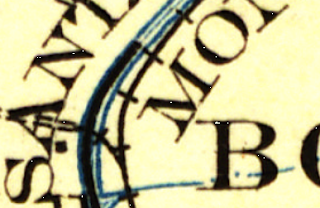 which is unmarked on this 1914 USGS map. 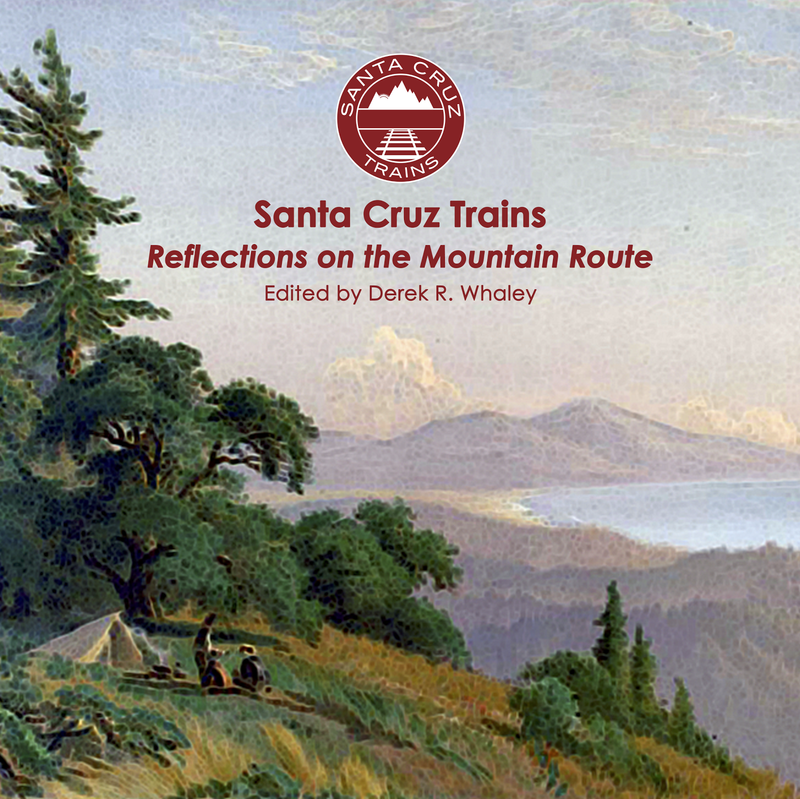 As the Pajaro Valley Railroad followed the course of the Pajaro River to the Monterey Bay, it reached a point where three stations sat in close proximity to each other. The northernmost of these stops was called Williamson, after the farm of William J. Williamson, an Irish farmer and former 49er. In late 1864, Williamson moved to Santa Cruz County and became one half of Brown & Williamson Lumber Company in Watsonville, which he operated until 1874 when they sold the firm to Charles Ford. The next year, Williamson purchased 175 acres of reclaimed slough land near the mouth of the Pajaro River. Williamson and his family built a large farmstead at 951 Trafton Road soon after moving to the new property. Three generations of Williamsons lived on the ranch. William and his wife, Artemissa Sands, settled in the Trafton District with their two children, Robert Samuel and Caroline. By 1881, Robert had a son, James, and three daughters, Mary E., Ethel, and Inez, who all lived and worked on the farm alongside their mother, Susan Frances Armpriest. After Susan died in 1882, Robert married Mollie Ashton and had a second son, Orman Robert. In addition to a large ranch house, the farmstead included a bunkhouse for the seasonal workers that could hold up to twenty-five men. A Chinese cook, meanwhile, was employed each year to prepare food for the family and workers. Everyone ate their meals together for maximum efficiency. The property also featured a blacksmith shop and wagon repair station. The farm produced a variety of crops across its vast acres, but its primary products were wheat, oats, and hay. Potatoes, apples and pears were often planted in select areas of the estate, while a small ranch area was reserved for cows, pigs, and chickens. Williamson's operation was broad and relatively inefficient initially, but it had a good reputation among local farmers. Between 1875 and 1900, the Williamson family worked to optimise the farm and it became one of the first intensive agricultural operations in the region. In 1883, William's son Robert inherited the estate and he began growing sugar beets for Claus Spreckel's new factory in Watsonville in 1888. 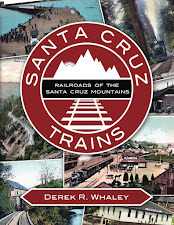 When the Pajaro Valley Railroad began construction alongside the Pajaro River in early 1890, it passed immediately alongside Williamson's western property boundary. The railroad station likely had a beet-loading mechanism and a small freight platform for other goods. Technically, the site also served as a passenger flag stop for anybody on the farm who wanted a short ride to Watsonville. Sugar beets remained the family's primary crop until the late 1920s when advancements in irrigation allowed them to grow lettuce for the first time. Although sugar beets continued to be one of their products until 1945, these would have been shipped by truck after the Pajaro Valley Consolidated Railroad was abandoned in 1930. The property changed hands a number of times after Robert's death in 1900. His second wife, Mollie Ashton, and Robert's eldest son from his first marriage, James William, cooperatively ran the farm until 1913, when Mollie bought out his interest, as well as the claims of his three sisters, and partnered with her son, Orman Robert Williamson. Together, they became a highly efficient farming operation. Orman joined the local agricultural aristocracy in 1921 when he married Etheleen Learned Trafton, his neighbour to the north. At this point, Orman built a new home across from his parents' house. Both of these homes still exist today. Lettuce and cauliflower became the main family crops until 1958, when the family leased the entire historic property to Louis H. Delfino, who began to rotate in artichokes. Delfino retired in 2000 and died in October 2011, but his family continues to lease the property today. The site of Williamson is not accessible from any road, although the property is off Trafton Road south of McGowan Road. The original right-of-way is now a narrow access road that runs along the eastern side of the Pajaro River levee, while the station itself is unmarked but was located just north of a viaduct at the furtherest western curve of the river. The Williamson family farmstead sits on the east side of Trafton Road below a small hillside—two historic homes sit facing each other across a private driveway south-east of the former railroad stop.